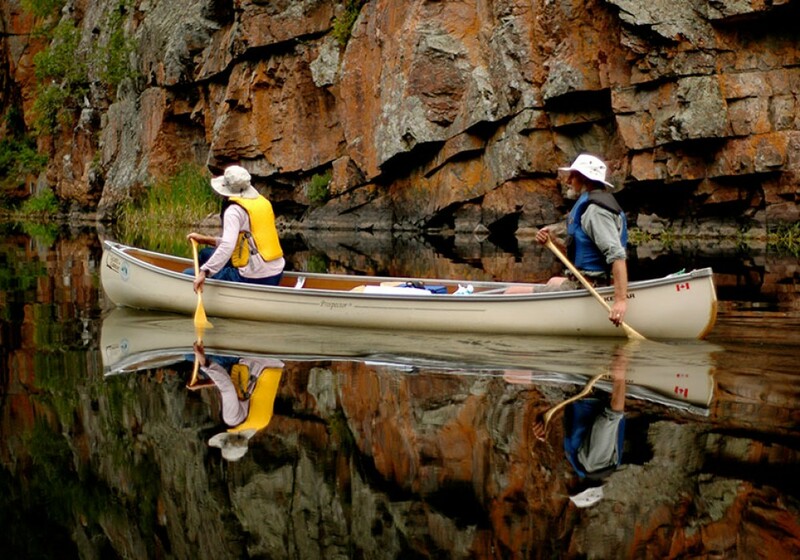 The three day Algonquin Provincial Park canoe route is designed for those with minimal experience canoe tripping or little time to plan a trip themselves. Let us worry about the details such as campsite bookings and getting your gear ready. We can even provide your backcountry food to make this a safe and enjoyable way of experiencing a long weekend trip into Ontario's signature wilderness park. This trip can begin and end from several different locations. Near the West Gate, the Canoe Lake and Smoke Lake access points lead to many interesting places. Near the East Gate, the Shall Lake access point and Galeairy Lake access point are great starting points, while the Achray access point near the Sand Lake Gate is equally exciting. From the access point you will head out to find a campsite that will be your home for the two nights (or we can plan to move each day if you prefer). There are plenty of sites to choose from with the furthest being about a two hour paddle from the access points. From your new outdoor home you will be amazed how much there is to do right around camp. Meals become an adventure, birds and wildlife abound and you can even take a day trip into a nearby lake. Our trip plan highlights the points of interest, fishing hot spots and much more.